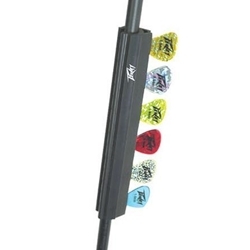 Play Hard and Hands Free with the Peavey Pick Holder! Rubber pick holder quickly attaches to your microphone stand or boom arm for convenient pick access. Includes six Peavey holographic picks.